KUNDUZ -- Taliban militants in Chahar Bolak District, Balkh Province, have stolen 22 trucks containing oil and commodities in the group's latest bid to steal valuables from the Afghan people, local officials and merchants say. Insurgents seized the 14 trucks and eight oil tankers from Afghan traders and businessmen on the highway between Aqina Port in Faryab Province and Mazar-e-Sharif, Balkh Province. Aqina Port, situated 35km from the city of Andkhoy on the border with Turkmenistan, is a commercial dry port connecting Afghanistan to Central Asian and European countries. "On January 12, the Taliban took these trucks to an unknown location," said Ahmad Munir Farhad, a spokesperson for the Balkh provincial governor. "Efforts are under way to regain these trucks and commodities from the Taliban," he told Salaam Times. "The Balkh local government and security agencies are not going to remain idle or indifferent ... and soon there will be positive changes to the security situation on this route," he said. Meanwhile, the Taliban heisted another two oil tankers owned by private companies on the Jawzjan-Balkh highway, the 209th Shaheen Corps of the Afghan National Army (ANA) said in a Facebook post February 4. Troops have recovered 12 vehicles stolen by the Taliban in recent days, the ANA said, without providing further details. "The Taliban have lost the ability to fight the security forces and are now trying harass the innocent and to steal their property," the statement said. "The Taliban's objective is money, for which they are willing to commit any crime," Faizabad District Governor Alef Shah told journalists on January 13 in Faryab Province. Part of the highway connecting Shebarghan to Mazar-e-Sharif is secured, he said, but it remains insecure between the Pul-e Aqel Gada area in Aqcha District of Jawzjan Province and Chahar Bolak District, Balkh Province. The Taliban have damaged or even destroyed check-points on both sides of the road as a way to harm and harass drivers, Shah said. 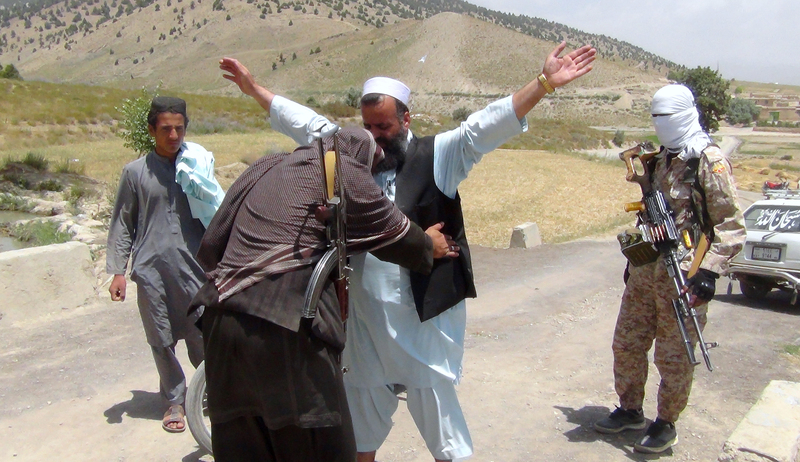 The Taliban continue to harass drivers on this route, according to Mahmud Rahmati, a businessman from Balkh Province. The economy will take a hit and the public will suffer if security is not restored, he warned. "We are concerned that the Taliban are going to kill our drivers and set fire to our merchandise and commodities, which we have earned through hard work and much difficulty," he told Salaam Times January 14. "The Taliban have previously called on merchants to pay them taxes on their inventory," he said. "Some of the traders had paid the requested tax, while many others disregarded the Taliban's order." "The government must protect our highways so that we can comfortably continue our work and conduct business," he said. "The situation on highways has been bad over the past two years, and most businessmen and drivers suffer from it," said Nasir Ahmad Qasimi, head of the Balkh Chamber of Commerce and Industry. "There are large and small investments in Balkh Province, and the new factories that have been established here require serious support, both from the government as well as from the private sector," he told Salaam Times. "Efforts to attract domestic and foreign investments in Mazar-e-Sharif have become more effective, and the government should provide the traders with the necessary facilities and incentives," he said. "Attacks carried out by the Taliban on the transit route from the Port of Aqina and the highway connecting Balkh and Jawzjan provinces have caused traders to lose interest in their commercial activities," Sayyed Taher Rawshan, a merchant from Balkh Province, told Salaam Times. "Such actions by the Taliban have led Afghan businessmen to fail to pay foreign companies by their agreed-upon deadlines ... foreign companies have lost trust in local merchants with whom they have contracts," he said. The Taliban extort taxes from drivers in return for allowing them to transport goods and commodities, said Hishmatullah Mohammadi, 42, an oil tanker driver in Aqina Port and Balkh Province. "If we give them [the requested amount], then we'll be fine," he told Salaam Times. "If we refuse to do so, however, they seize our property and retain our vehicles until we pay the fee." The stolen trucks were all carrying food and other legal commodities, he said. "In other words, there was no such thing as drug trafficking, weapons smuggling or transportation of unauthorised items involved," Mohammadi said. "Therefore, the Taliban do this only to squeeze out some money that they call 'tax'." The Taliban's illegal collection of taxes along transit corridors enables the group to further equip and arm itself against the people and government of Afghanistan. "The Taliban collect 5,000 to 7,000 AFN ($67-$93) from each vehicle, under the pretext of tax collection," said Mir Ahmad Haidari, 38, an oil tanker driver working for a company in Samangan Province. "After collecting the requested tax, the Taliban give the truck driver a Taliban ticket that bears the emblem of the [so-called] Islamic Emirate," he told Salaam Times. "Using these financial resources, the Taliban fund and equip themselves, only to later fight the people and government of Afghanistan," he said. The Taliban used this tactic late last year along the Farah-Herat and Herat-Kabul highways. After setting up illegal check-points, the Taliban "taxed" truck drivers based on the value of their merchandise, handing them receipts stamped with the emblem of the so-called "Islamic Emirate of Afghanistan". To stop the sham taxation, Afghan security forces stepped up patrols along the highways, forcing the militants to dismantle the check-points and flee. The Taliban have a history of harassing and extorting drivers, stealing goods and vehicles, and even holding drivers hostage. On December 1, the Taliban seized almost 70 vehicles and 120 Afghans, including passengers and coal truck drivers in the Dara Chichal area of Dara Suf District, Samangan Province, taking them to an unknown location. The Taliban released a number of them two days later after the captives paid the requested tax. However, some drivers along with their vehicles are still being held by the Taliban, according to local officials. The provincial council and local elders are working to free them. The truck drivers' refusal to pay the money demanded by the Taliban is why the militants abducted them, according to Mohammad Hashim Sarwari, vice chairman of the Samangan Provincial Council. "Based on an agreement, drivers had to pay 5,000 AFN ($67) to the Taliban every time they used that route," he told Salaam Times. 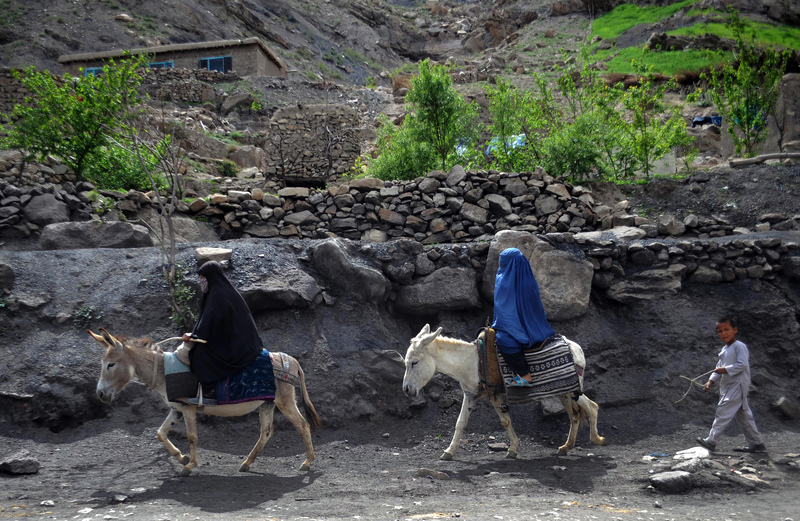 "After a number of drivers refused to pay the Taliban, however, the militants took them away." It is a shame on the Country that they do not want to work for a bright future but they only destroy the lives of People. The militants were beating up truck drivers and extorting millions of afghanis from them daily, according to local authorities. Security forces are planning operations to rid the province of the militant group's make-shift 'customs stations'.